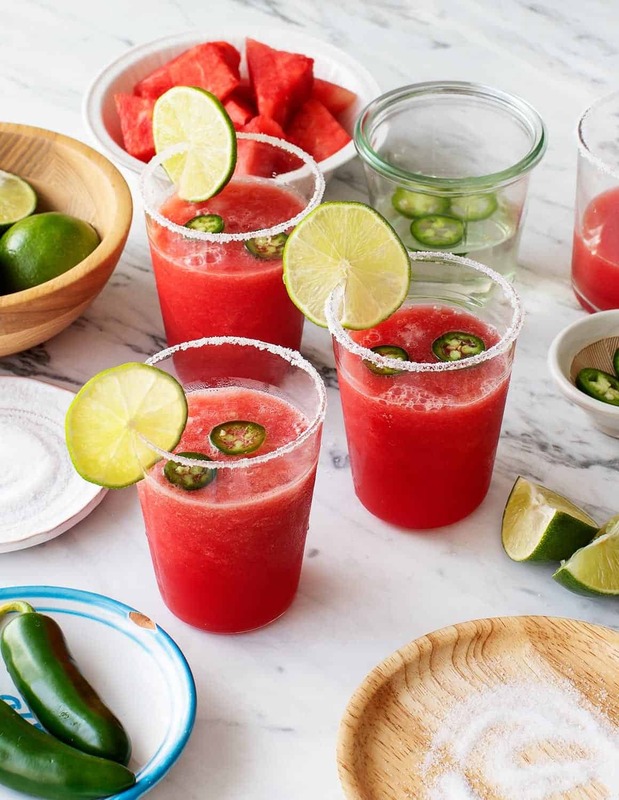 This spicy watermelon margarita is great for summer entertaining! 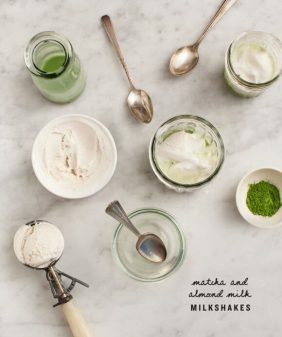 With no added sweetener and just 5 ingredients, it's a fun, healthy cocktail. I have three really great reasons why you should make this watermelon margarita recipe this weekend: 1. It’s summertime on a Saturday! 2. These are so easy and require no additional sweetener aside from the watermelon so they’re borderline healthy(?) and 3. 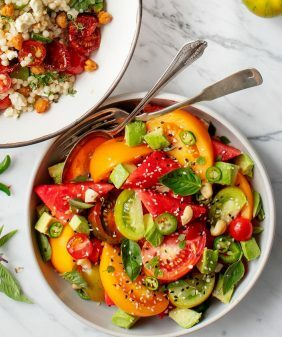 You made the Spicy Tomato and Watermelon salad on Thursday and now you have leftover watermelon hanging out in your fridge. Waste not want not! 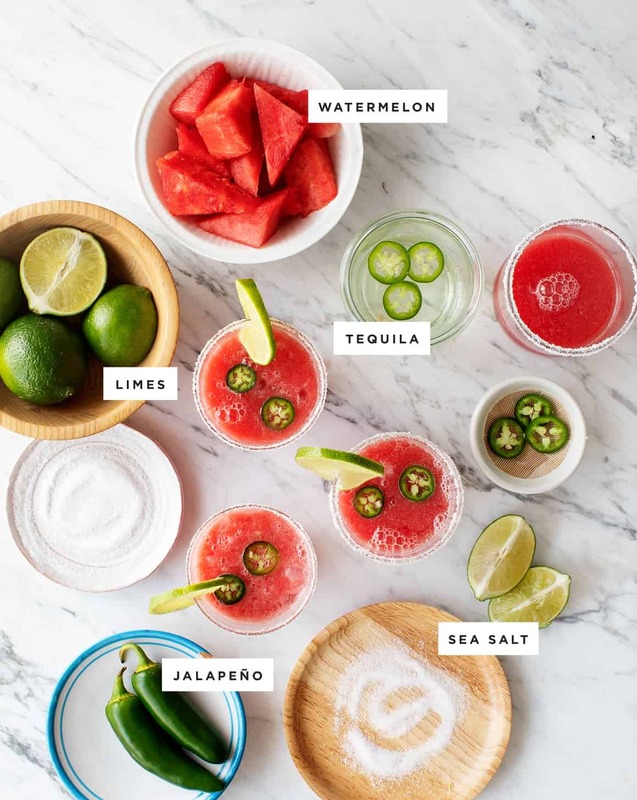 Start making your watermelon margarita by blending the watermelon with lime juice. This juice will keep in the fridge for most of the week, so you can easily do this step ahead of time. Then, mix the watermelon-lime juice with spicy tequila, and that’s it! Watermelon margarita time! 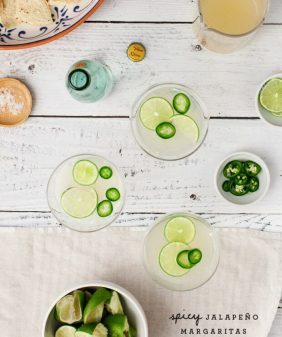 You can make the jalapeño tequila to be as spicy as you like. Infuse it for 15 minutes, and it’ll be mild. Alternatively, infuse it for 1/2 to one day, and it’ll be pretty spicy. Or, infuse it for 3 days and, well, that was too spicy even for me, and I have a pretty high spice tolerance. If you over-spice your tequila, just dilute it to taste with plain tequila. This spicy watermelon margarita is the perfect summertime drink! 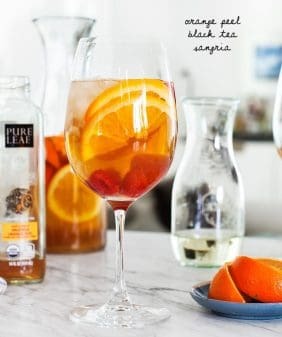 With no added sweetener and just 5 ingredients, it's an easy, fun, and healthy cocktail. great idea and beautifully presented! 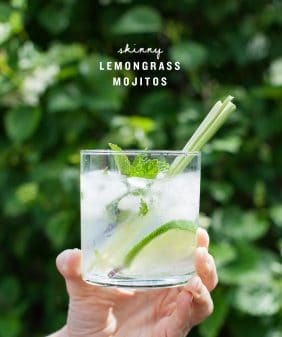 Perfect compliment to summer heat, thank you for this cocktail recipe! OMG, I need to try this margarita ASAP! looks refreshing, must be try. So beautifully presented! Must say. 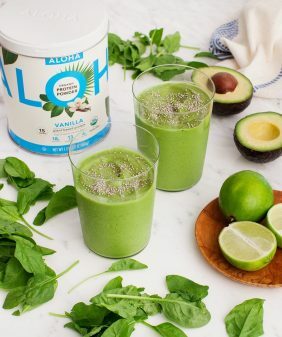 In love with this healthy juice recipe and going to try it with my morning breakfast.